Soft, watercolor roses show your colorful side and your artistic style. The watercolor rose design accents the top and bottom of the bright white bridal shower invitation card, making it a lovely introduction to your floral-themed bridal shower anytime of year. 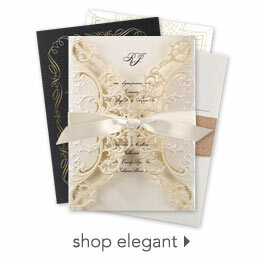 Choose two lettering styles and two imprint colors for your wording. Invitation includes outer envelope. If your looking for purple this is Not the invite for you! Colors are pink not at all purple. Very Disappointed.